can be worked out and realized for any business and branch. That is our strong point. Aqua Technologie Nörpel (ATN) was originally founded in October 1992 as an engineering office by Dipl.-Chem.-Ing. (FH) Clemens Nörpel. Besides consulting and planning services for water treatment plants in the food and beverage industry, the company's core business has also included distributing UV-disinfection systems from the very beginning. In 1993, we registered our first patent for a “Water Saving in the Bottle Washer”. The company's work has been focused on our own and other new technologies - largely patent-protected – from that time until the present. Overall responsibility for planning, construction and start-up of water treatment plants for the food and beverage industry as well as for horticultural farms. Expansion of existing regional partnerships and formation of strategic alliances to handle different types of projects. Planning and construction of a water treatment plant for a major international beverage production and bottling plant. When planning this water treatment plant, we needed to consider the full range of products from fruit juices to fruit juice beverages and soft drinks until non-aerated and carbonated waters. Other important areas included in planning are general operations, operating technologies and filling porcess. We needed to define different levels of water quality In order to best supply various business and production areas. This water treatment process is based on a multi-stage reverse osmosis for desalination. Other functional units include aeration, sand filters, pumping stations with UV equipment, ozone impregnation, activated carbon filters, fine filtration with integrated UV device, etc. ATN expanded to meet increasing requirements and moved to another facility located in Mönsheim near Pforzheim. We still provide the same familiar level of quality at our new site. Complete water treatment for table and soda water for the biggest brewery in Thailand located in Bangkok. In addition to conception, design, engineering and pipework planning the order also included delivery of single components, prefabricated units, switch board and plant assembly as well as start-up of the entire water treatment plant. Local assembly and piping was handled by a local business partner. Aqua Technologie Nörpel (ATN) was founded in October 1992 originally as an engineering office by Dipl.-Chem.-Ing. (FH) Clemens Nörpel. Besides consulting and planning activities for water treatment plants in the food and beverage industry the distribution of UV-disinfection systems has also belonged to the core business from the very beginning. In 1993 the first patent “Water Saving in the Bottle Washer” was registered. The development of own and new technologies - largely patent-protected – has shaped the action of this company decisively until this very day. Overall responsibility for planning, construction and start-up of water treatment plants for the food and beverage industry as well as for horticultural farms. Expansion of existing regional partnerships and formation of strategic alliances for realisation of different types of projects. Planning and construction of a water treatment plant for a major international beverage production and bottling plant. When planning this water treatment plant one had to consider the full range from fruit juices to fruit juice beverages and soft drinks until non-aerated and carbonated waters. Other relevant water installations were the general operation, the operating technologies as well as the filling process. In order to perfectly supply various business and production areas different water qualities had to be defined. The core of this water treatment is a multi-stage reverse osmosis for desalination. Other functional units are aeration, sand filters, pumping stations with UV equipment, ozone impregnation, activated carbon filters, fine filtration with integrated UV device etc. 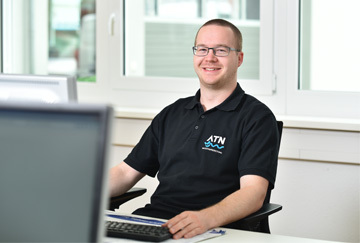 In order to meet increasing requirements ATN increased too and moved to another premises located in Mönsheim near Pforzheim. At our new site we are available in well-known quality. Complete water treatment for table- and soda water of the biggest Thai brewery located in Bangkok. In addition to conception, design, engineering and pipework planning the entire order also included delivery of single components, prefabricated units, switch board and plant assembly as well as start-up of the entire water treatment plant. Local assembly and piping was carried out with a local business partner. Thanks to solid, long-term experience, highly knowledgeable and motivated staff members, and consistent innovation, we are able to provide economical and sustainable methods and plants for reliable water treatment in a wide variety of sectors. ATN stands for maximum flexibility to implement individual customer requirements. No matter whether you need advice, engineering, production, assembly, or service and maintenance – when you work with us you get the full spectrum – all tailored to your needs. Our cooperation with other companies allows us to offer comprehensive solutions from a single source. When we select our partners, we focus on finding the highest quality. We strongly believe in keeping our manufacturing in Germany, and in the values that come along with "Made in Germany" products. 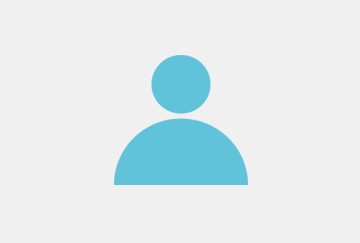 As a family-run company, our focus is on personal contact with our customers. We are your contact partner and we are happy to find time for a personal conversation to discuss your concerns in a calm atmosphere, even in today's stressful world. You can find more information in our Image brochure. Nearly all industries need water. The demands we put on water are both various and specific. The techniques we use in water treatment are shaped by these demands as well as by the existing raw water quality. We offer you long-term business experience and specific industry experise. As comprehensive as our service offer is the field of application of our plants. Dr. Thomas Scherer, Dipl. Ing.